Marine offshore services company, BOURBON, has entered into a Memorandum of Understanding (MOU) with Automated Ships Ltd to support the building of the world’s first autonomous, fully automated and cost-efficient prototype vessel for offshore operations, in collaboration with the project’s primary technology partner, KONGSBERG. BOURBON will leverage its expertise in building and operating a standardised fleet to provide detailed input to the development and design of the Hrönn project, ensuring flexibility, reliability and cost efficiency to operate safely and effectively in the demanding offshore environment. Based on its customer experience, BOURBON will thus help to match client demand. In the second phase of the project, ASL and BOURBON will join forces to search the subsidies to finance the effective construction of the prototype. Hrönn is a light-duty, offshore utility ship servicing the offshore energy, hydrographic & scientific and offshore fish-farming industries. 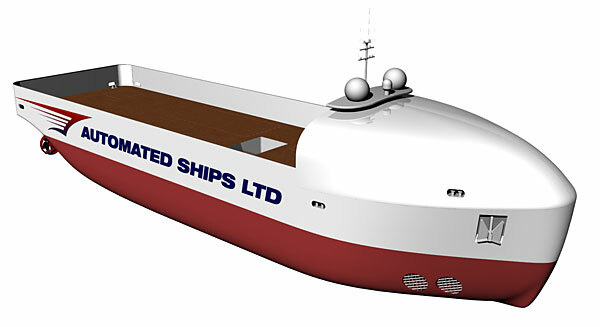 It can also be utilised as a ROV and AUV support ship and standby vessel, able to provide firefighting support to an offshore platform working in cooperation with manned vessels. Automated Ships Ltd has progressed the original catamaran design of Hrönn since the project launch on 1st November 2016, opting for a monohulled vessel of steel construction, to provide more payload capacity and greater flexibility in the diverse range of operations. BOURBON’s entry to the Hrönn project, follows the recent news that it has joined forces with KONGSBERG in a new collaboration to develop digital solutions for next generation connected and autonomous vessels. The two companies will execute joint projects to develop new ways of efficient operations in the offshore services industry, with a fast time-to market. KONGSBERG will contribute its technology expertise and deliver all major marine equipment necessary for the design, construction and operation of Hrönn, including all systems for dynamic positioning and navigation, satellite and position reference, marine automation and communication. Its vessel control systems including K-Pos dynamic positioning, K-Chief automation, and K-Bridge ECDIS and Radar will be replicated at an Onshore Control Centre, allowing full remote operations of Hrönn. Hrönn’s sea trials will take place in Norway’s officially designated automated vessel test bed in the Trondheim fjord and will be conducted under the auspices of DNV GL and the Norwegian Maritime Authority (NMA). The Hrönn will ultimately be classed and flagged, respectively. “In this era of digitalisation of industrial services, we are pleased to join this forward-looking project thus demonstrating the positioning of BOURBON as a world reference in terms of operational excellence and customer experience,” says Gael Bodénès, Chief Operating Officer, BOURBON Corporation. “BOURBON is a world leading marine services company and we are confident that alongside KONGSBERG as technology lead, they will provide a valuable contribution to the design and operation of Hrönn,” says Brett Phaneuf, CEO, Automated Ships Ltd.
“We are pleased to be collaborating with such expert partners in the development of Hrönn, a vessel that will show how digitalisation and autonomy have the potential to revolutionise the offshore services market,” says Stene Førsund, EVP Global Sales and Marketing, Kongsberg Maritime.